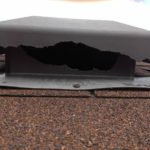 Some signs of a wildlife infestation can include scratching, scuttling or gnawing noises, holes in the structure of your property and droppings. If you suspect that you have any form of infestation then you will need to call in a wildlife control specialist as soon as possible. They will have the right tools and the expertise to be able to identify what pests are infesting your home, and then provide you with a solution to the problem. With so many different infestation specialist companies out there it can be tough to know who to pick.This article provides several simple tips that will help you to find and choose the best company for your needs in no time. You will want to choose a company that serves the area where you live or work. This is so that they will be able to attend to the problem quickly. Most pest control specialists will be able to deal with a range of problems, including rodent, raccoon and bird infestations. However, if you are dealing with something a little more unusual then you may have to seek out a more specialist service. Most infestation specialists will list the types of services that they are able to provide on their website. Alternatively, you can call and speak to a specialist for more information. Some specialists will be able to provide a quick response service if you need their help in an emergency. This service can be used if you have a large animal that is in danger, or posing an immediate safety risk to your and your family. If possible, it is always best to choose wildlife control specialists who are able to provide a humane way to remove the pests. How much do they charge? Some specialists will charge an hourly fee, while others will charge a set amount for completion of the entire job. You may wish to get quotes from several companies so that you know you are getting a good deal. Always choose a company that has fully trained and experienced specialists who are able to provide a great service. You can check that they are reputable by searching online for some independent reviews, alternatively you can see if they have any testimonials from past clients. The easiest and most convenient way to search for infestation specialists that are located in and around your area is to look for them online. All major companies will have a website which will list more details on the products and services that they offer. You can do this by using keywords such as “infestation removal team” along with the town or city that you live in into your favourite search engine. You can then browse through the top listings until you find a company that provides what you need. You can also look in your local directory listings for more information on a wildlife control team that services your area. Good luck. Rodent infestations can put your family’s health and safety at risk. Not only can they carry nasty diseases, but they can also cause some serious damage your property by gnawing on wires and scratching through walls and flooring. There are several things that you can do in order to lower your chances of attracting rodents. This article provides several tips that will help to protect your home from rodents, plus it explains what to do in the event of a rodent infestation. Rodents are attracted to food, therefore you will need to maintain a high level of cleanliness when it comes to storing and disposing of foodstuffs. Store all of your food that you keep out of the fridge in airtight containers. This particularly applies if you have a pantry, as pantries will often attract rodents. Make sure that all outside bins are properly sealed and that the rubbish is taken away regularly. Rodents will also look for areas where there is a water source. Therefore, you should fix up and seal anywhere where there may be water leaks, such as leaking pipes in the attic. Clogged drains are also sure to attract rodents, so keep these clean and sealed at all times too. Rodents will scratch and dig their way into your home through any small holes in your home’s structure. You can spend an afternoon walking around your home looking for small gaps and entry holes. Also keep an eye out for scratch marks or gnawed areas as these will give an indication as to the areas that they are gaining entry. These areas can be sealed using products which are available from your local DIY store. If you are unsure of how to seal them then you can hire a handyman or rodent infestation specialist to come and seal them for you. You can use door sweeps and screens to block small areas underneath doorways. Open chimneys can also be enclosed by installing specialist chimney screens. Common signs of a rodent infestation include scratching, gnawing or squeaking noises – particularly at night. Holes in the structures of your property, scratch marks, missing food or rodent droppings are also an indication that you have a problem. Avoid cleaning up rodent droppings, as these can contain nasty diseases, instead call in the professionals to do it for you. 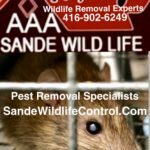 If you suspect that you have a rodent infestation then you will need to call in some rodent infestation specialists as soon as possible. Rodents can breed very quickly, so what may start as a small problem can turn into a large problem in a short space of time. These specialists will have the tools and the expertise to identify whether you have any type of infestation, plus they will provide you with the most efficient way to remove the rodents. If possible, try and choose a company who is reputable and able to remove wildlife in the most humane way possible. Good luck.